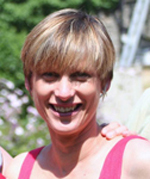 Dr Sara Thorne is a consultant cardiologist specialising in adult congenital heart disease and pregnancy in heart disease. She works at the Queen Elizabeth Hospital in Birmingham where she established the Adult Congenital Heart Disease Unit and the Joint Cardiac High Risk Pregnancy Service in 2000. She has published in both these areas and is a cardiac assessor for the national maternal mortality confidential enquiry (MBRRACE UK). She has a particular interest in junior doctors training and education.